The UC administration’s recent preferential actions have given rise to the anti-pro-Semitism movement. OAKLAND, CA – The University of California academic calendar underwent further modification Monday after UC officials announced the shortening of spring break for the 2014-2015 school year by one week. This abridgment, which applies to every UC on the quarter system, was made to accommodate the religious practices of Jewish students during the Jewish Low Holiday of Yom Avodah. Some worry that the new scheduling will have undesirable consequences. The one-week curtailment of spring break could prove detrimental as it restricts the amount of rest students receive to recover from ten weeks of poorly-taught lectures and unreasonably difficult exams. How detrimental it will be, though, is hard to say. The matter is currently being analyzed by several of UCLA’s physical science departments. UCLA mathematics professor Duane Weng reported: “If my calculations are correct, the new scheduling scheme will reduce the amount of rest days students receive between quarters from 7 days to 0 days. Spring break is one week long. The new schedule calls for a subtraction of one week from the currently existing spring break. One week minus one week equals zero. The students will have no more vacation.” Weng’s findings have yet to be verified, but the preliminary data has raised concerns nonetheless. Upon hearing that they would have no spring break whatsoever next year, many students expressed discontent. “For me, spring break is time to decompress,” said 2nd-year Economics major Tito Ordonez. “I spend two-plus months crammed in a res hall triple, and I need that week-long break to get my limbs stretched back out.” Additional time for high knees, though, was not the only reason cited by students for disapproval of the new schedule. 3rd-year psychology major Lacie Edmonds said, “Many of my friends use spring break as a chance to earn some extra cash. You know, to help finance their education. I don’t know what they’re going to do now that we don’t have a spring break. I mean, how are they supposed to pay off their student loans without that wet t-shirt contest prize money?” Other students have complained that, without a spring break, they won’t have any time to think about how this change might affect them. Students are not the only ones unhappy with the UC’s decision. Popular spring break vacation destinations figure to take a substantial hit if thousands of students are absent from their visitor pools. As a result, the Cancun and Las Vegas tourism boards have teamed up to create a Kickstarter to “purchase every Jew a standard Gregorian calendar”. The crowdfund already has several thousand backers. The new scheduling change by the UC administration also comes on the heels of their decision to shorten winter break in observance of Rosh Hoshanah and Yom Kippur. 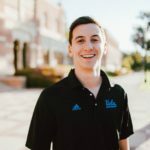 Many people have questioned whether it is right of the UC administration to show preference for the Jewish community in trying to avoid scheduling conflicts with their holidays. In response to allegations of preferential treatment for certain religions, UC official Teri Barker cited the scheduling changes made by the UC administration in 2009 in accommodation of Muslim students for Ramadan. She also added that a plan was currently in the works to truncate summer break of 2016 in observance of the Satanist holiday of Lucifermas.